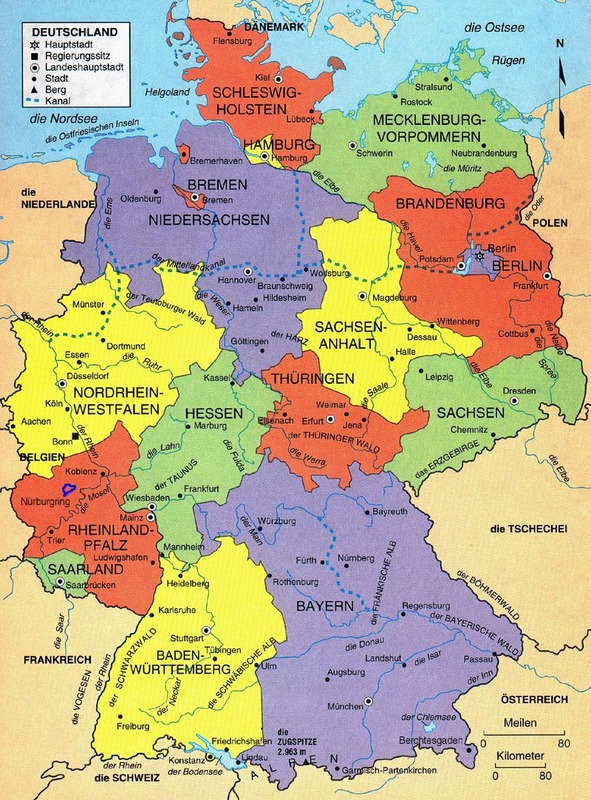 The main reason for including this map is for reference, so you can have an idea of where things are in Germany. As an added feature, I’ve included links to cities or sites where I have information. I hope you will find this useful. Things on the map that are in white box with blue text are clickable. 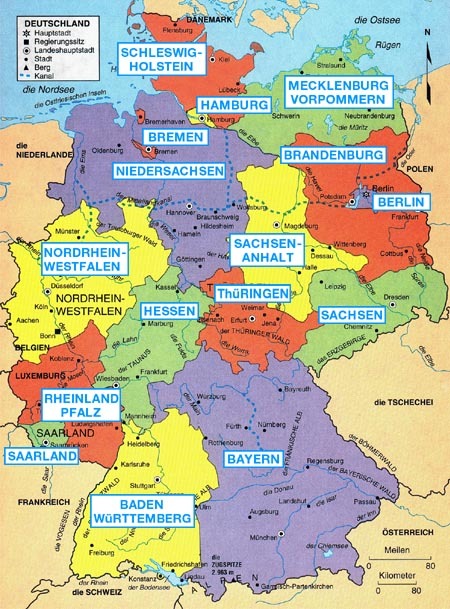 In the case of the map below, the boxes represent the sixteen states in Germany. Clicking on them will display a map of the state itself, and will show any areas where I might have information. For those who don’t have graphics capability or patience, I’ve include all of the pertinent links at the bottom of the page. Clicking on a state (gray box) will get you a map of the state. The state maps are like above, only bigger and more local (they are not all the same scale!). They includes areas I have information on. Again, I’m doing this for your reference. If you find this confusing, please send me an e-mail ( ) and let me know what you think so I can make it even better. Thanks.